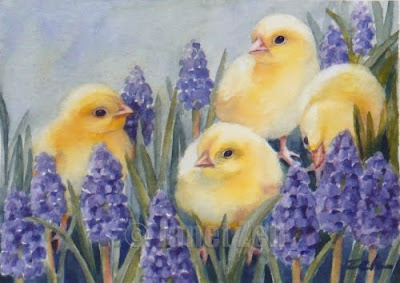 Four soft fuzzy chicks have made their way into the bulb garden where grape hyacinth are sweetly blooming. This is a perfect little painting for a kitchen, office or child's room.. Thanks for your visit and have a lovely day.